Bobbie Scales 901-292-0633 at 2567 Park Avenue (across from original Melrose). She’ll be at the house most of Saturday, June 25th. Text for logistics if needed. Outside Memphis, your final payment(s) must be postmarked by June 25th to avoid added fees if you’re on an early bird program. Saturday Day Event. For those who have questions, this is a very special tour @The Center for Civil and Human Rights that includes a private MLK Papers viewing and private lunch. Official Reunion T-Shirt. Our official reunion T-Shirt is a fantastic tribute to our Melrose and Orange Mound roots. Please wear it on the Saturday Museum day event. 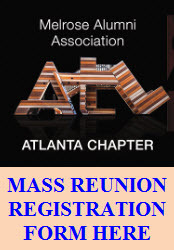 Extra T-shirts will be available for sale at the ATL Chapter Reunion table. Registration Hours. Friday, 3 p.m. – 9 p.m.
Wristbands. We will use a fantastic color-code wristband during the weekend that is so pretty you won’t take it off. However, if you do and you lose it, the automatic replacement charge for a lost wristband is $50.00. Wristbands are required. No wristband, no event entry. Love us before you get upset because this helps with logistics! Limited Registration. Yes, we will have a limited number of extra spots available for those who get there and may want to attend other events throughout the weekend. If so, you must do this registration on Friday night (for Friday Night Hospitality White Party on the Roof, Saturday Gala Banquet, or Sunday Morning Praise Breakfast). Bottomline, if you think you MIGHT want to No registration for the Saturday event after July 1. Vendors. We have great vendors – Some great Tshirt options, Clothing for Women, and Jewelry. We also added a mask vendor with masks that are $15-$50.00 per mask. If you’re interested in buying one of these for a fun evening, please email goldenwildcatsatl@gmail.com with the price you want to spend. We’ll have it ready for you! Most vendors will be open: Friday, 3 p.m. – Midnight and Saturday 2 p.m. – 10 p.m. Bus Schedule for Saturday Day Event. Check you packet upon arrival at the hotel. Getting to Atlanta. Frankie Gregory still has 5 seats on their bus leaving Thursday. Call her directly for details. 901-743-3043. If we didn’t answer it, ask us! Site Co-Sponsored by Melrose Alumni Atlanta Chapter.